Hannah is a 16 month-old little girl who was diagnosed with a moderate to severe hearing loss in both ears a few weeks after birth. Hanna was fitted with hearing aids but that was just the beginning of her “hearing journey’. Hannah has walked a long road since then with a number of hospital stays and specialist appointments. After a few months of wearing her hearing aids, Hannah did not appear to be responding, as we would have hoped. Further tests showed that she had glue-ear in her middle ear, which complicated her journey further. Hannah’s middle ear has now cleared but her latest tests show that her hearing is getting progressively worse. Hannah now has a profound hearing loss in both ears. Hannah’s latests results also show that she obtains no benefit from her hearing aids anymore. 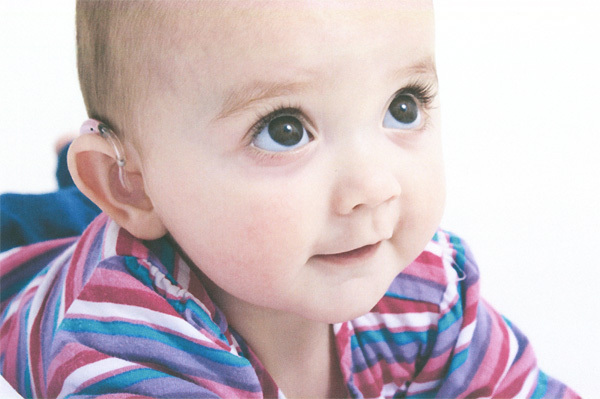 Hannah’s only chance of hearing her family’s voices is to be fitted with cochlea implants in both ears. Cochlea implants are expensive, costing approximately R 200 000-00 per implant or ear. Hannah will also require on-going therapy and management to ensure that she has the best hearing possible. This on-going management also comes at a cost that medical aids often have limited funds for. The Urban Sky Trust arranged a RED Sock Charity Golf Day to assist in raising funds for Hannahs first cochlear implant. We are proud to say we contrinuted R40 550-00 towards this project with help from the players and sponsors. We all made a difference....!